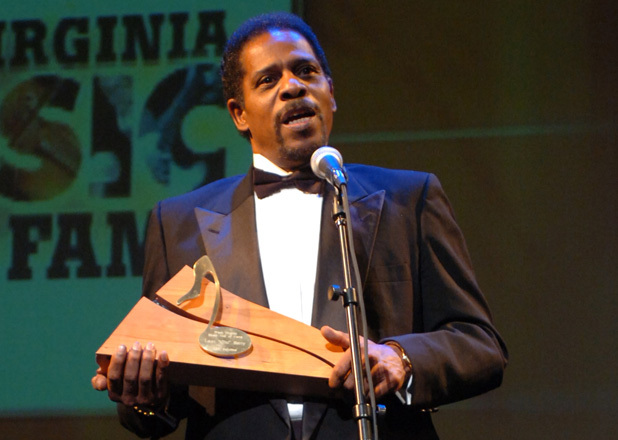 Bill Withers’s award was presented by Kanawha County native, actor Lou Myers. 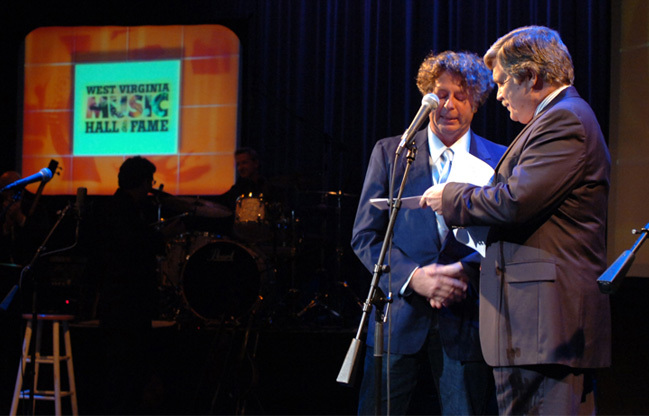 Famed songwriter Billy Edd Wheeler accepts his award. 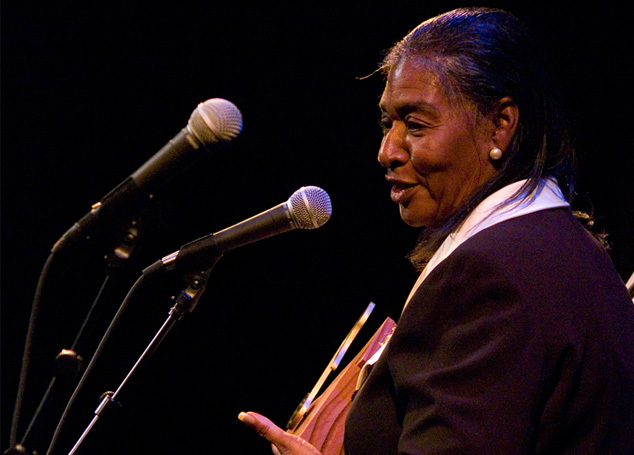 Connie Whiting accepts the award for her late father, Johnnie Johnson. 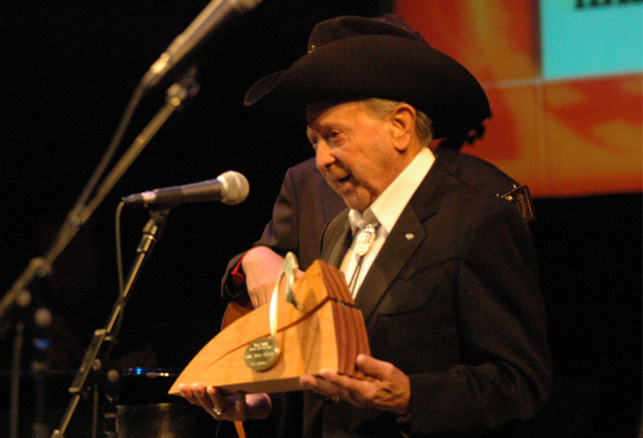 Little Jimmy Dickens accepts his award. 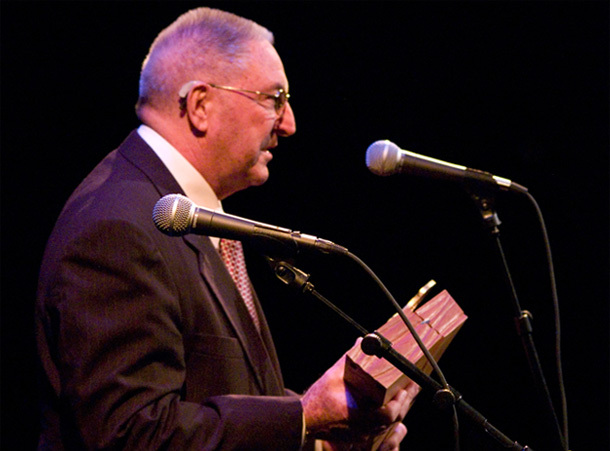 Jack Reed accepts the award for his great uncle Blind Alfred Reed. 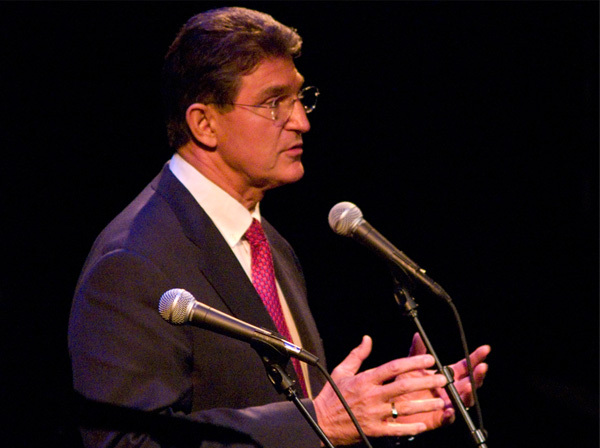 West Virginia Governor Joe Manchin presents Johnnie Johnson’s posthumous award to his widow and daughter. 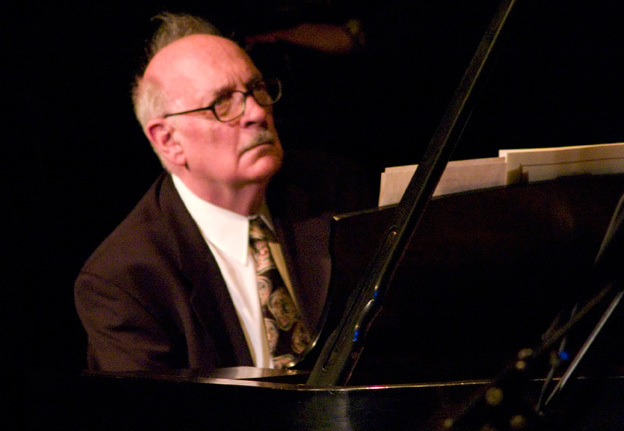 West Virginia Symphony Orchestra conductor Grant Cooper presents George Crumb’s award. 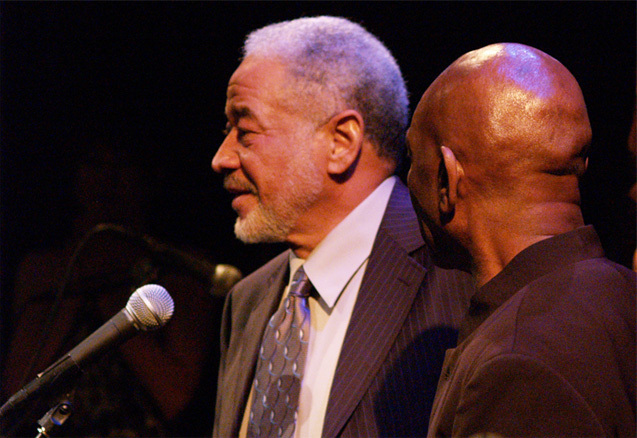 Steven Starks accepts Leon “Chu” Berry’s award. 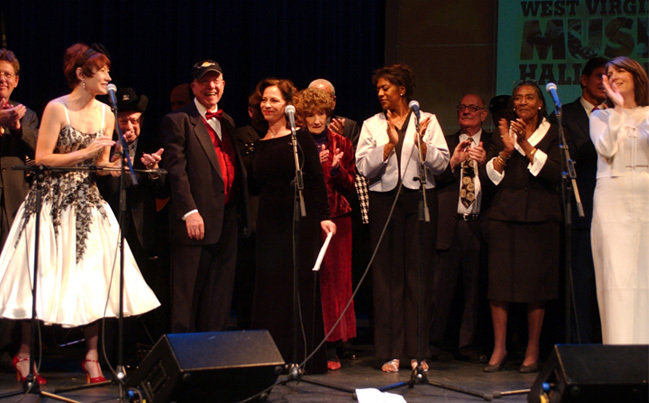 Alison Krauss presented Hazel Dickens’s award. 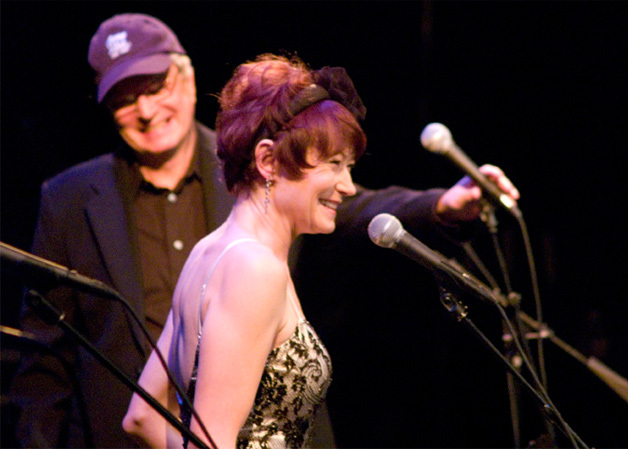 Charleston native, actress and singer Ann Magnuson hosted the event. 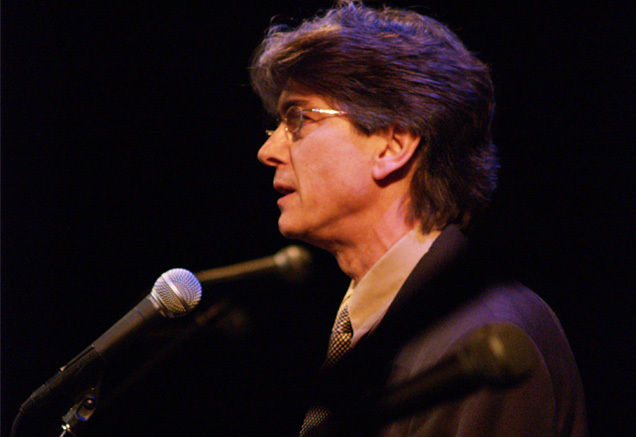 Mountain Stage executive producer Andy Ridenour served as MC. 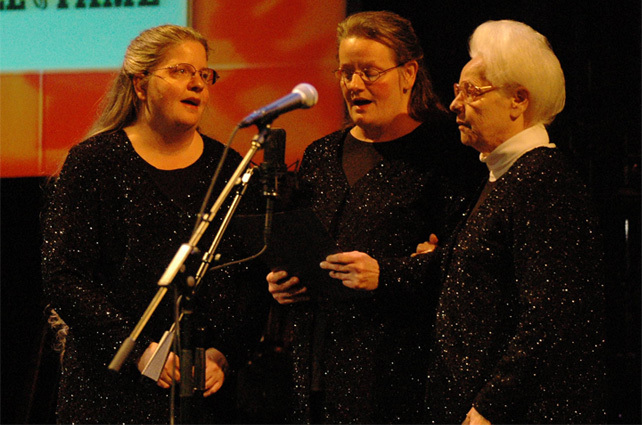 The Nichols Family – Marshalene Nichols (right), and her daughters Lisa Spaulding and Rita Estep – sing the invocation. 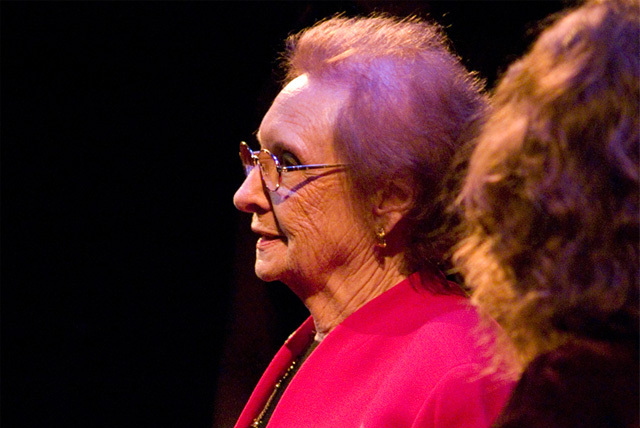 Molly O’Day’s award was accepted by her sister-in-law Mildred Samons. 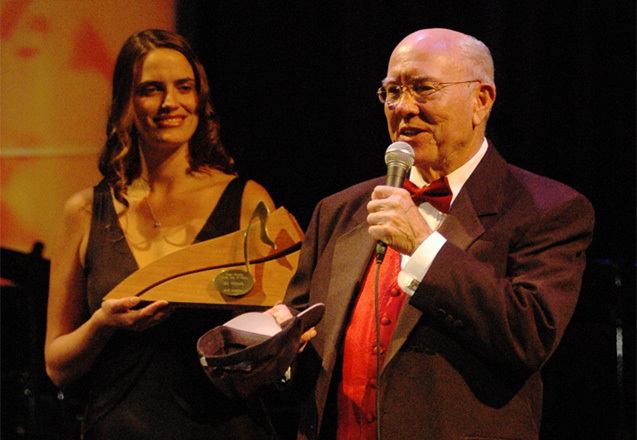 The award was presented by Mollie O’Brien. 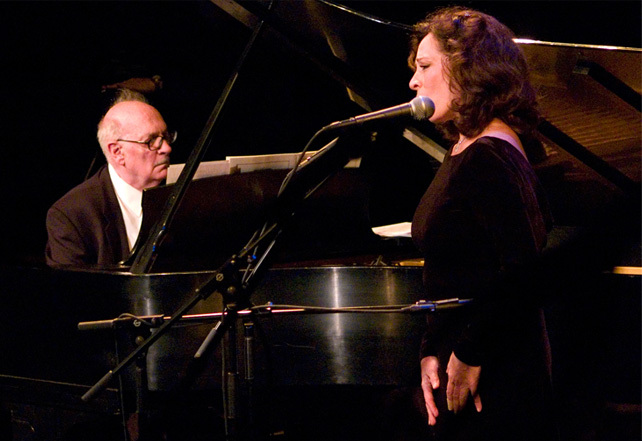 Inductee George Crumb and his daughter Ann performed. 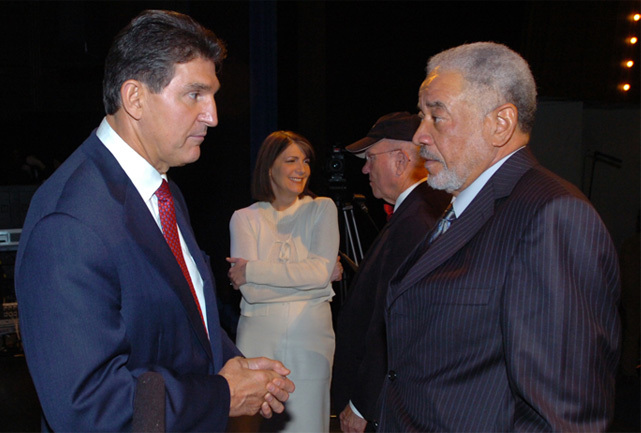 WV Governor Joe Manchin talks with Bill Withers. 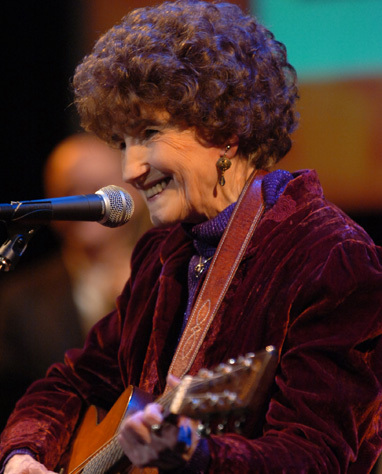 Kathy Mattea and Billy Edd Wheeler are seen in the background.